Наприкінці заходу усі діти змогли викласти свої найзаповітніші мрії на чарівних осінніх листочках, з яких потім склався справжній кораблик бажань. І, звичайно, презентація не обійшлася без автограф-сесії: Інеса Завялова підписала книги усім охочим. On December 17, the presentation of Inessa Zavyalova book «The ship of desires» was held in the regional scientific library. 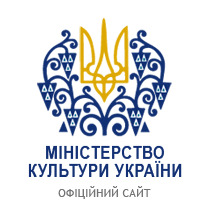 The book saw the world in November 2018 at the publishing house «FOP Shvets V.M.» thanks to the Regional Program for Supporting the National Book Publishing, Book Distribution and Popularization of the Ukrainian Book in Mykolaiv region for 2017-2021. Inesa Zavyalova - holder of the Best Mykolaiv Book Awards 2015 and 2017 in the «Best edition for children and youth» nomination. A new book by a well-known author included the story «The ship of desires», the fairy tale «About honest Levko and good Frol», «Fashion labyrinths and zigzags» and 20 verses. During the presentation, there were excerpts from the story «The ship of desires», «fairy tales», «Fashion labyrinths and zigzags», poetry «Square», «Beaded white and clean». Children and adults communicated with Mykolaiv writer with interest, asked questions, expressed their thoughts. Guests met not only with the author but also with illustrators of the new children's edition. The book includes illustrations by a professional artist Kseniya Kalmykova. Also, «Ship of Desires» became a successful debut attempt by the librarian of the Mykolaiv Regional Universal Scientific Library, Inna Chupryna, and a student of the Mykolaiv Specialized School «Child Creativity Academy» by Artem Georges as illustrators. The publisher, Victor Shvets, told the guests how he worked on the publication, as well as about all the steps that the book goes through in the publishing house before getting to the book shelves. At the end of the event, all the children were able to present their most cherished dreams on the magic autumn leaves, from which then a real ship of desires has emerged. And, of course, the presentation was not without an autograph session: Inesa Zavyalyova signed books to everyone who wants.